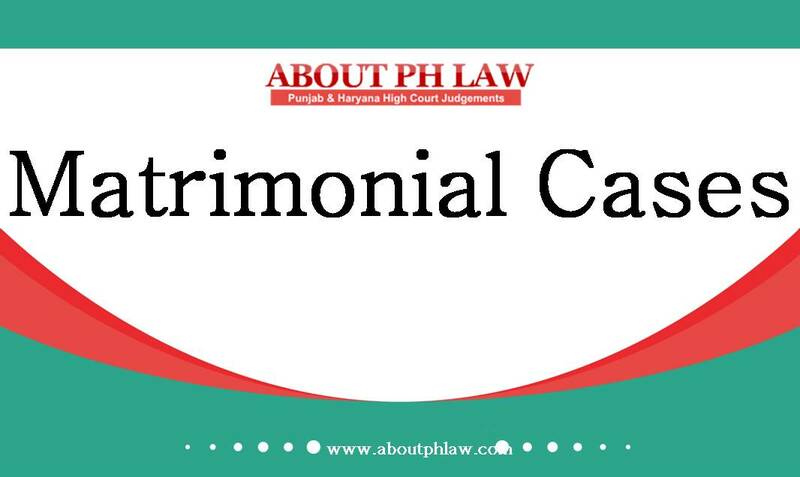 Resjudicata–Earlier suit dismissed for want of prosecution does not operate as resjudicata. Comments Off on Resjudicata–Earlier suit dismissed for want of prosecution does not operate as resjudicata. Resjudicata—Previous writ which was dismissed with single word, by a non-speaking order would not operate as constructive resjudicata. Comments Off on Resjudicata—Previous writ which was dismissed with single word, by a non-speaking order would not operate as constructive resjudicata. Resjudicata—Eviction Petition—Ordinarily, decision of Rent Controller on -question of title will not operate as res judicata, but where the question of title was directly decided in the proceedings by the Rent Controller, then the decision would be res judicata. Comments Off on Resjudicata—Eviction Petition—Ordinarily, decision of Rent Controller on -question of title will not operate as res judicata, but where the question of title was directly decided in the proceedings by the Rent Controller, then the decision would be res judicata. Resjudicata—Plea of resjudicata can only be given once the parties have led their evidence. Civil Procedure Code, 1908, S.11-Resjudicata-Plea of resjudicata can only be given once the parties have led their evidence-Application under Section 11 would not be maintainable at the preliminary stage when the parties have not lead their evidence. Comments Off on Resjudicata—Plea of resjudicata can only be given once the parties have led their evidence. Civil Procedure Code, 1908, S.11-Resjudicata-Plea of resjudicata can only be given once the parties have led their evidence-Application under Section 11 would not be maintainable at the preliminary stage when the parties have not lead their evidence. 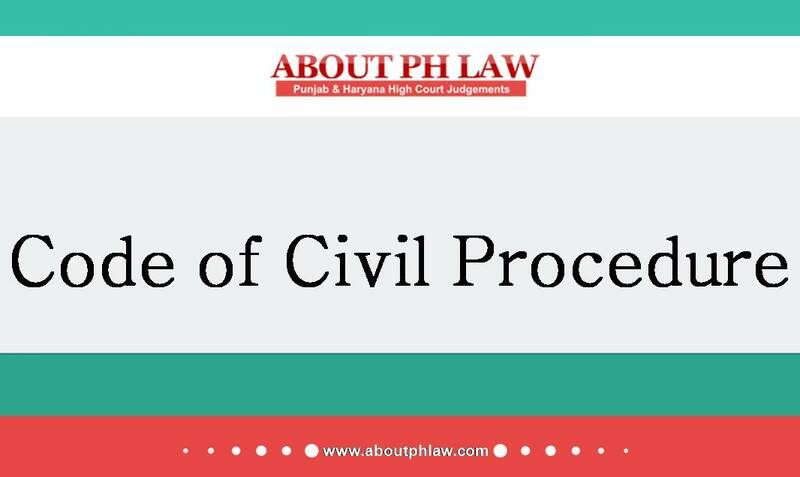 Civil Procedure Code, 1908, O.2 R.2, S.11 & O.23 R.1(4)–Bar to Suit-Res judicata– Non pressing of issue—0.23 R.1(4) precludes the person not to abuse against the process of law and owing to involvement of question of public policy— Therefore, if the issue of bar to suit and resjudicata was not pressed, same can always be considered. Comments Off on Civil Procedure Code, 1908, O.2 R.2, S.11 & O.23 R.1(4)–Bar to Suit-Res judicata– Non pressing of issue—0.23 R.1(4) precludes the person not to abuse against the process of law and owing to involvement of question of public policy— Therefore, if the issue of bar to suit and resjudicata was not pressed, same can always be considered. Res judicata—Principle of res judicata applies to different stages of proceedings in the same suit. Comments Off on Res judicata—Principle of res judicata applies to different stages of proceedings in the same suit. Injunction—Findings recorded in a suit for injunction qua title does not constitutes resjudicata. Comments Off on Injunction—Findings recorded in a suit for injunction qua title does not constitutes resjudicata. Legal Representative -Bringing on record—Such a course does not operate as resjudicata, nor inter se disputes between the rival legal representatives would be settled by doing so. Comments Off on Legal Representative -Bringing on record—Such a course does not operate as resjudicata, nor inter se disputes between the rival legal representatives would be settled by doing so.